Over the past year we have learned that over 107,000 Federal Agents are actively spying on American citizen’s email, texts and phone calls, without a warrant, in violation of the 4th Amendment. 1)Will you support a bill that would make spying on anyVirginia Citizen illegal and a felony in our State, unless a warrant is obtained first? Currently there is an effort to remove, against Virginia State Code, historical monuments and markers, especially those dedicated to the Confederate Veterans and Virginia Founding Fathers. 2) Would you support a bill that would strengthen the protection of all historical monuments and markers in Virginia? The right to self-defense is one of man’s most basic natural rights. The 2nd Amendment to the Constitution says no law shall be made to infringe on the “right to bear arms”. Eleven States currently allow law-abiding citizens to carry concealed weapons without a permit; these are called “Constitutional Carry” states. These States allow citizens to protect themselves and their families from criminals by not restricting their right to self-defense. 3) Will you support a “Constitutional Carry” bill that would allow any law-abiding citizen to carry a firearm concealed without a permit? Currently there is an effort to install speed cameras in our State, even though they have been shown to be nothing but a source of revenue and do not in fact improve so called 'safety' on our highways, and in fact create distracted drivers. .4) Will you oppose any legislation that will legalize speed cameras to Virginia? Currently there is an effort in Virginia to use the power of the state to force landowners to sell their property rights to private companies through the use of eminent domain. 5) Will you oppose any legislation that would make residents sell their property rights to private corporations? The 10th Amendment to the Constitution allows a State to “nullify” un-Constitutional laws, making them null and void within a State. And health care is intra-state commerce and as such the Federal Government has no authority to regulate it. 6) Will you support a bill nullifying Obamacare in Virginia? Life, Liberty and Property are the three main principles our Republic was founded upon. 7) Will you support legislation as defining life as beginning at conception? Throughout the United States, there are efforts to allow non-citizens to vote in elections at the local and state level. 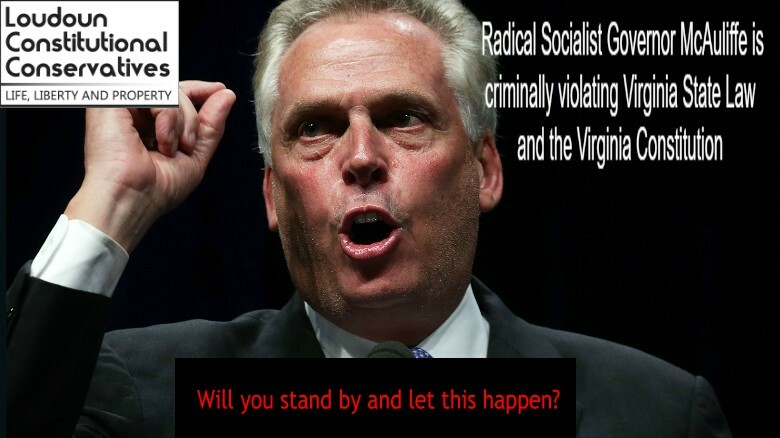 8) Will you oppose legislation to allow non- citizens to vote in Virginia? 9) Do you believe as Thomas Jefferson, James Madison and Alexander Hamilton did, that a State has the right to nullify un-Constitutional Federal Laws? This in fact is codified in Virginia law, by the 1798 Virginia Resolution. The Federal Department of Education has instituted Common Core, by various names, while attaching Federal Education dollars to those states who implement it. This program is based upon “teaching to the test” and indoctrinating students rather than teaching the skill of critical thinking and the importance of self government. Not only does it “dumb down” our educational system, but it unconstitutionally takes educational responsibility away from the State and County School System and most importantly the Parents. 10) Will you support legislation to prohibit the state from accepting Federal Educational money, if that money is attached to adopting educational curriculum or testing?